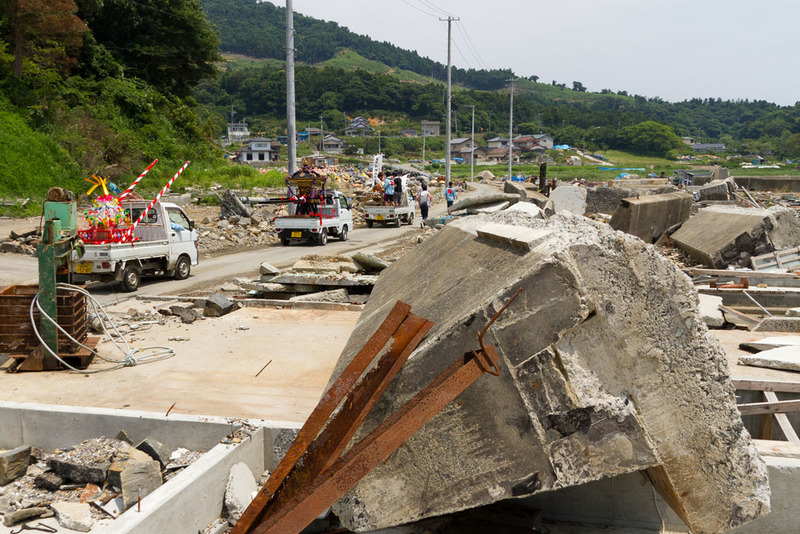 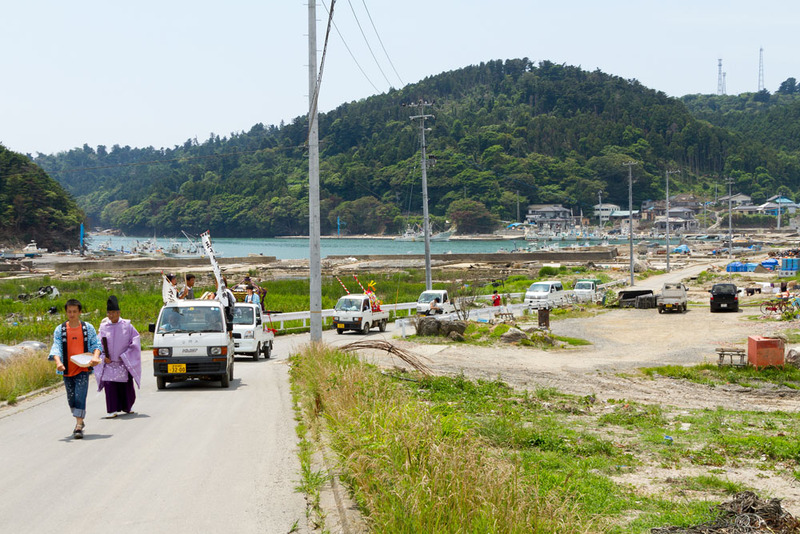 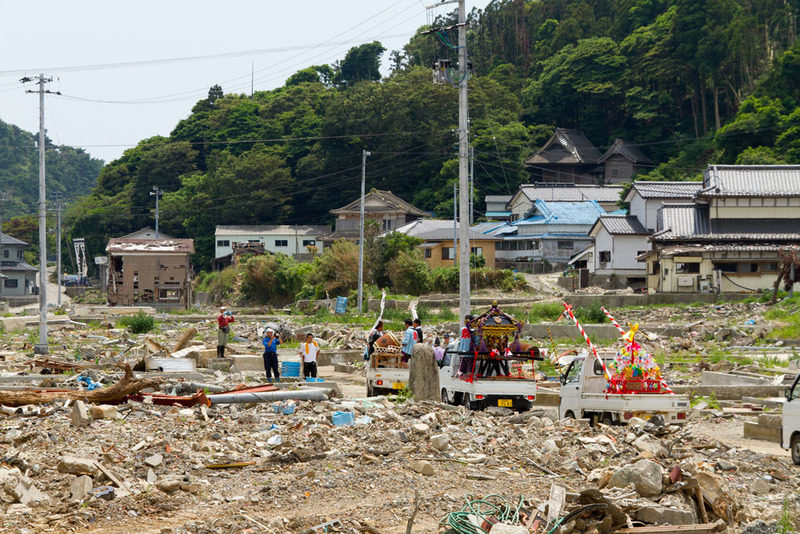 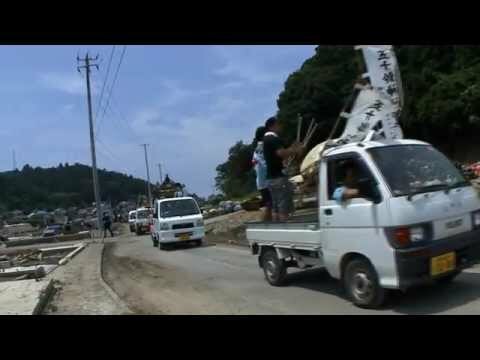 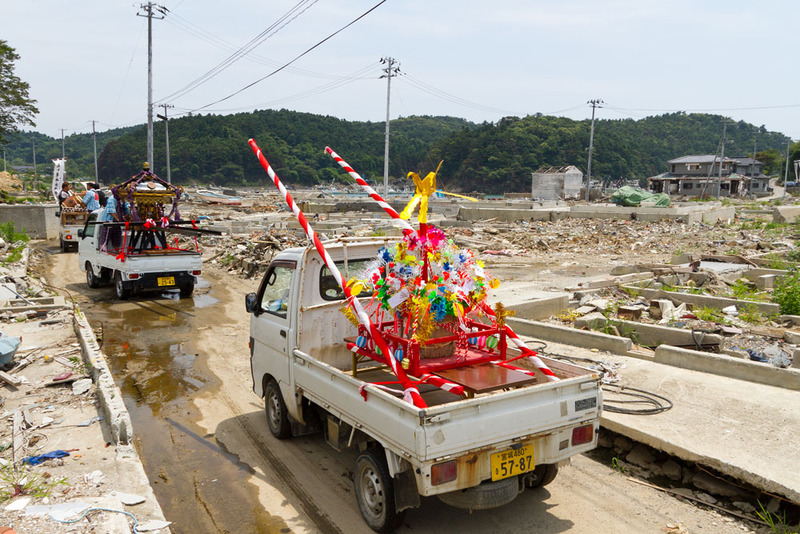 A line of cars, one of which carries a mikoshi (for mikoshi, refer to its Wikipedia entry at: http://en.wikipedia.org/wiki/Mikoshi), are heading down to a beach which suffered serious damaged. 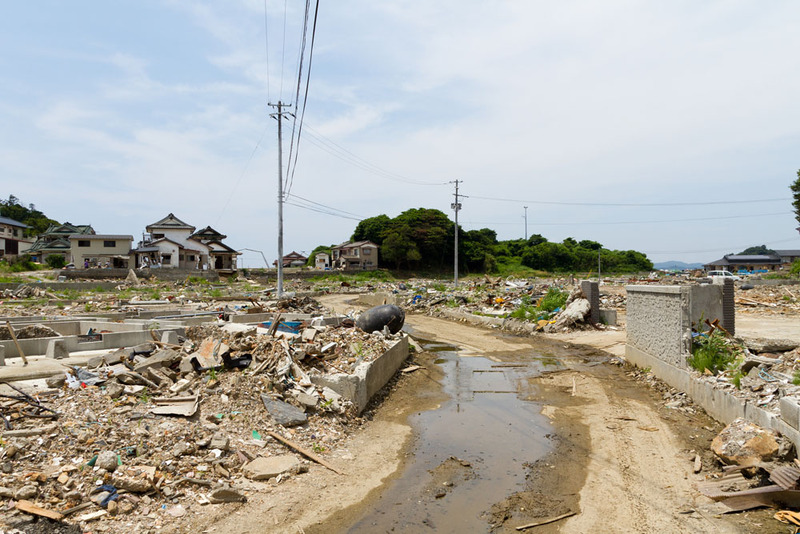 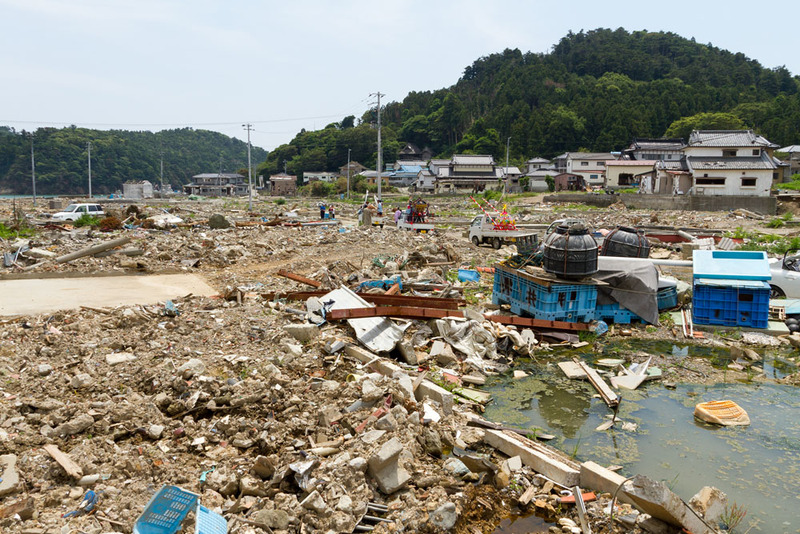 We still occasionally come across areas, including roads, where sea water remains trapped. 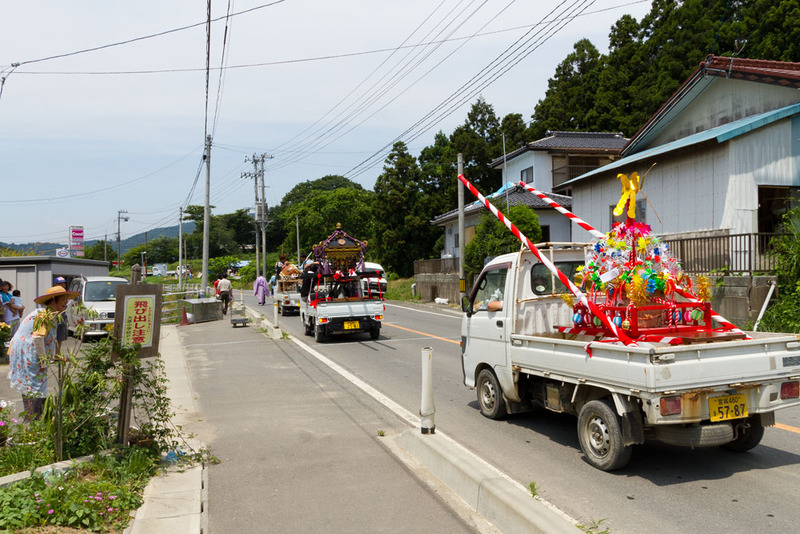 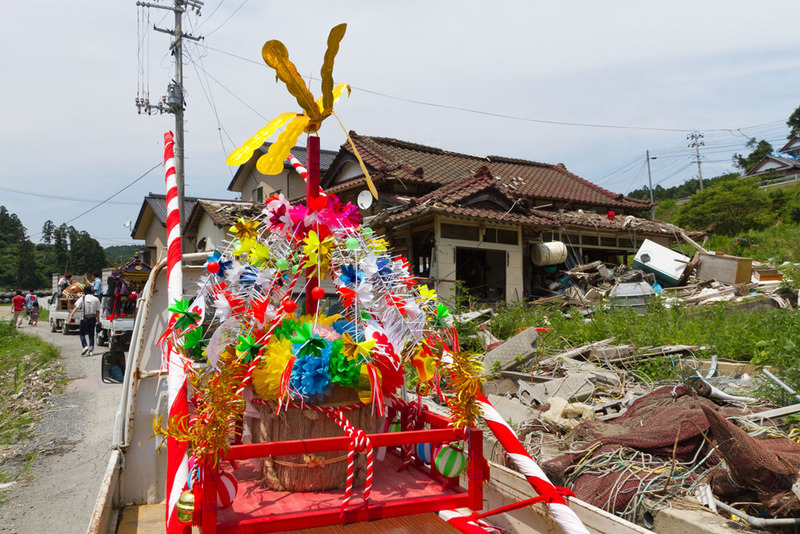 The mikoshi climbs up the slope again and heads towards the town. 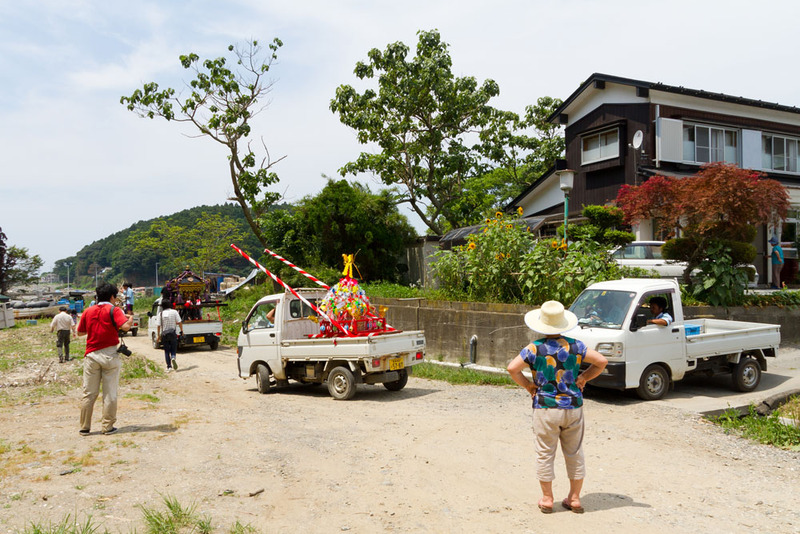 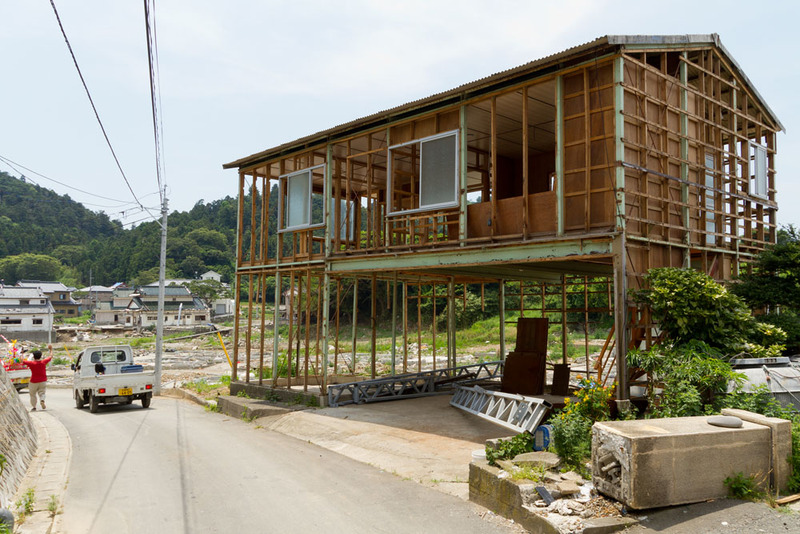 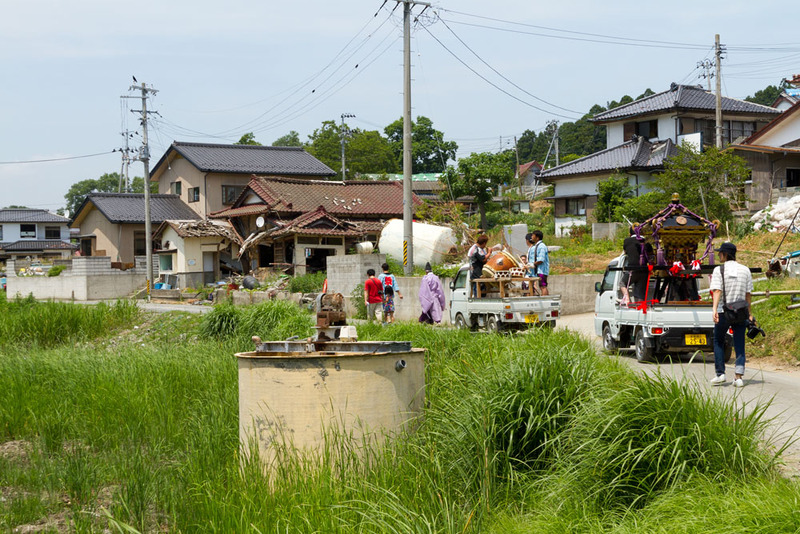 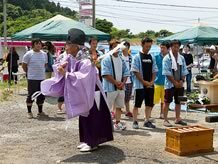 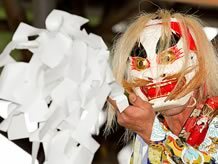 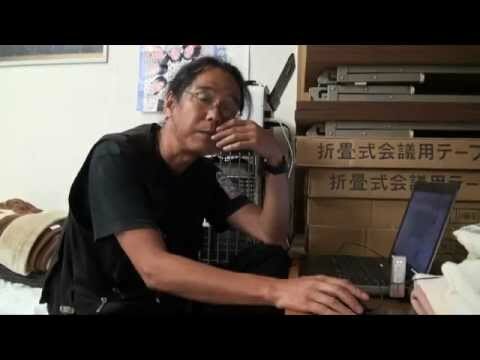 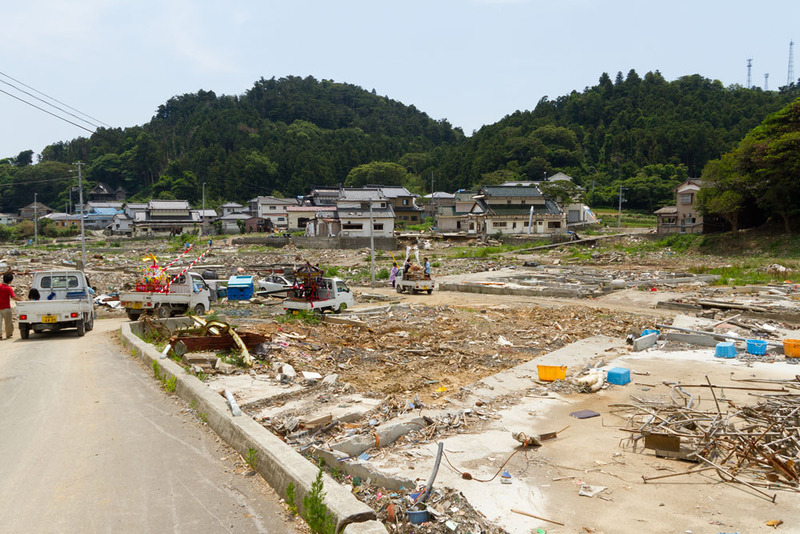 They go towards “Kobuchi Base” where the festival will be held.